It’s not exactly serious, though, and leads to to jokes. By the end of the video, his co-host Ryan “Gootecks” Gutierrez has burst into the room, decked out in his “Future Gootecks” costume, and a t-shirt defines “esports”, and it turns out it was an acronym all along: “ESPORTS: ‘Entertaining’ Subjects Playing Overly Repetitive Tedious Software.” Gootecks urges Ross not to bail, lest he doom himself, fighting games, and civilization. The “Future Gootecks” character serves as a reminder of Eleague, a corporate-backed event with televised recaps on TBS. For another, the T-shirt mocks the idea of “esports” sell-outs, but it’s also literally for sale. 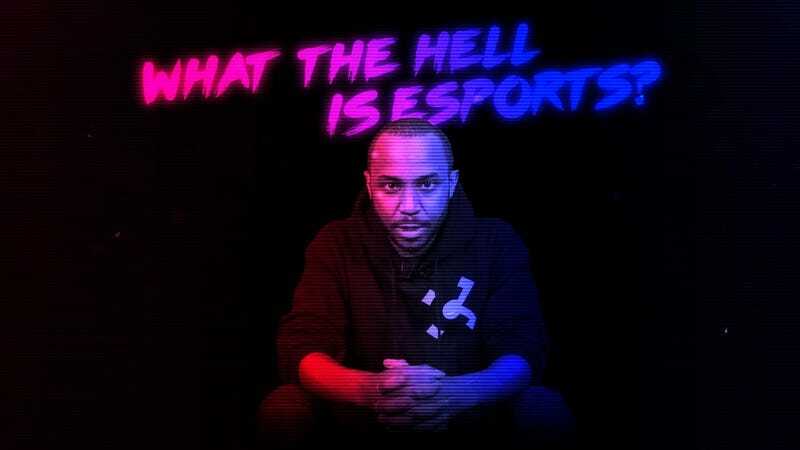 It’s hard to say what Mike Ross and Gootecks really think about “esports” and the FGC, but the video has stirred plenty more conversation about it. The mixed messages of the video may well reflect the mixed feelings many fighting game players have about the scene becoming more popular, which has led to slick televised invitationals like Eleague, and corporate sponsorships like the “Bud Light All-Star” ads, for which a handful of Street Fighter pros have been tweeting sponsored beer posts. Some think fighting game personalities are “selling out,” while others think the pros deserve to cash in. It’ll probably take more than an ironic T-shirt to settle that debate.